Brushing teeth can not be over-emphasized as it is an important aspect of everyday oral hygiene. But rarely do most people give attention to how well they brush their teeth. Even more is the fact that the number of times to brush teeth in a day still makes an interesting subject for debate from across the globe. Nevertheless, brushing teeth should be fun as the soft strokes of your toothbrush press gently onto your teeth, taking away the dirt and leaving a feeling of freshness comparable to none. Read on for a step-by-step guide on how to brush teeth with a brighter smile and a fresher breath. The process starts with the choice of the right size of toothbrush that neither stretches your mouth or gives a feeling of emptiness. 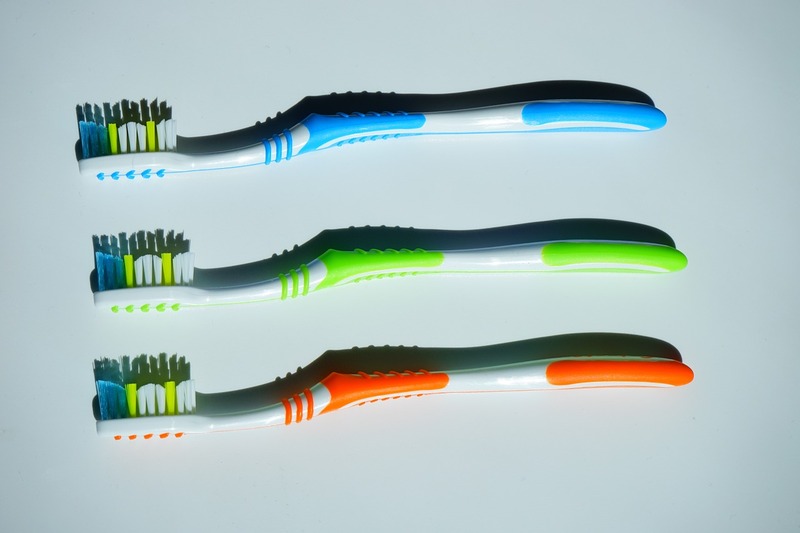 A good toothbrush is the one that has got soft and round-ended nylon bristles. An important aspect is how you angle and incline the toothbrush over the edges and the inside of your teeth frame. To begin with, gently place the toothbrush over your teeth while moving it back and forth to the outer surfaces of your teeth. The brush strokes make contact with the gum-line and move downward towards the chewing surface. This way, the bristles rest on each tooth and work their way into the spaces that hold residue for harmful bacteria, plaque, and food remain. Once you are done, move your toothbrush to the next set of teeth. Do this until you cover all the teeth in your mouth. Now, placing the brush against your tongue, brush gently from the back to the front until any white plaque on the tongue clears up. This method ensures that both the tongue and each tooth in the mouth gets the full advantage of your toothbrush bristles. Rinse your mouth with a generous amount of clean water, and smile in front of the mirror and see that white sparkle you got right there. Teeth should be cleaned at least twice in a day. First thing in the morning and especially before going to bed in the evening. However, if you can thrice a day is the best, as it ensures that any food residue is cleared away from the mouth. Brushing three times per day will keep off bacteria and plaque from building up. It is recommended that teeth should be cleaned for about three minutes each time, spending at least 30 seconds on each section of about three teeth. Brushing teeth properly to enhances the overall health of an individual. Plaque, a thin white-yellow film of bacteria that sticks to the teeth is one of the leading causes of gum disease and dental cavities. If ignored for long, plaque and debris in between teeth can be a predisposition to tooth decay, premature aging of teeth and eventual tooth loss. While at it, it is advisable that you replace your toothbrush after every three months. A toothbrush that has got worn out or with bent bristles is no longer useful. Next time you are brushing teeth, remember the circular motion method. It is never too late to re-learn!